1. Some women will start from scratch—literally. They’ll shave their heads and let their hair grow gray again from the get-go. No coloring. No wig. I know women who possess the jam to do this—but darn few. This is likely a solution for only one percent of women out there, at best. 2. A more standard, less daring way to go: Cut your hair short. Many women our age don’t wear long hair anyway, so this won't be too drastic. The basic idea: The time to wait for your gray hair to grow in and replace the colored hair wouldn’t be long. If you’re not used to short hair, this could be a chance to try a new, sassy style. If you get squeamish, there are always caps, hats, and headscarves to tie you over until it grows long again. 3. Wig, but no shaving. You just cover your head temporarily while the color-to-gray transition goes on underneath. 4. 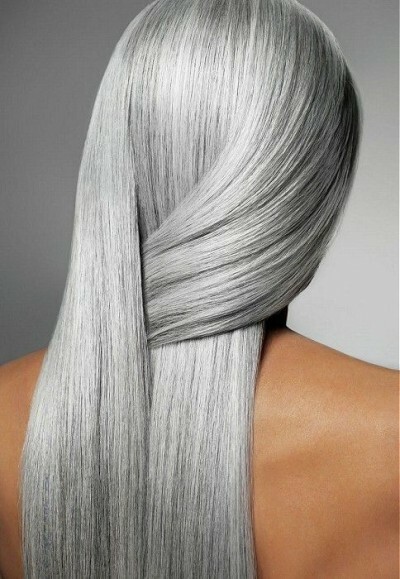 A common one…Silver and platinum highlights while you transition. Just match the color of those highlights to the color of the roots. If you do go this route, have your stylist place a few of those highlights around your face. They’ll stand out, allowing you to let some gray gradually shine through. Add more highlights at random as you allow the rest of your gray to show. The trouble: You’re damaging your hair. You’ll have to condition it every day—lavishly. 5. Use a semi-permanent dye. It will wash out in a month or so. Eventually, after a few applications, your will be able to fade fairly quickly into the fuller gray that’s developed underneath. My guess this choice would be women’s favorite; however, most of the semi-permanent dyes available cover only about 50% of the grayness. And the more coarse your hair, the less effective it will be. 6. You want to make your transition fast? You can. But at a price. Stripper is the regrettable generic name for this product. It cleans out all your artificial color all at once. Wham! This method reminds me of stripping paint, chemically, from furniture. You can only imagin the state of your hair after that procedure. 7. Once enough gray shows, start using shampoo especially made for gray hair. When hair goes gray, it can tend to look dull or take on an odd color tint. You may have seen a yellow-ochre tinge on some ladies’ graying locks. And swimmers going gray will often pick up a vaguely greenish tint. A specially formulated clarifying shampoo will keep your gray hair color looking clean and glossy. Glossers and topical shiners can also make your gray hair look shiny and luminescent. There’s some merit to every one of these ideas. I’m not sure which way I’ll go. But I intend to get creative and keep you posted every step of the way. 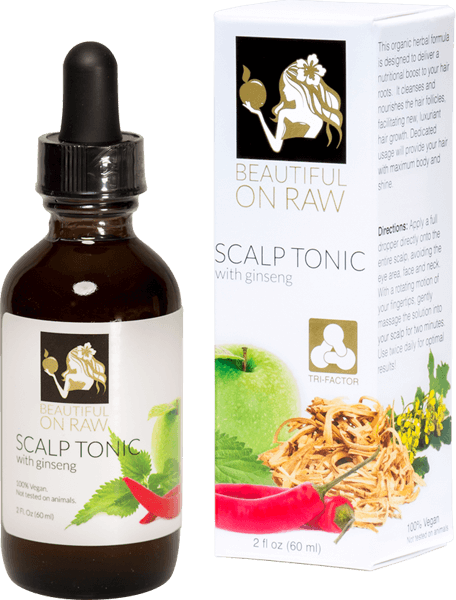 In the meantime, I am keeping my hair revitalized with the help of my Scalp Tonic with Cayenne Pepper and Mustard Greens Extracts. Its ingredients nourish the scalp and stimulate circulation to help shed unnecessary dead cells from the scalp and allow new cells to emerge to the surface resulting in fuller, thicker, healthier hair.